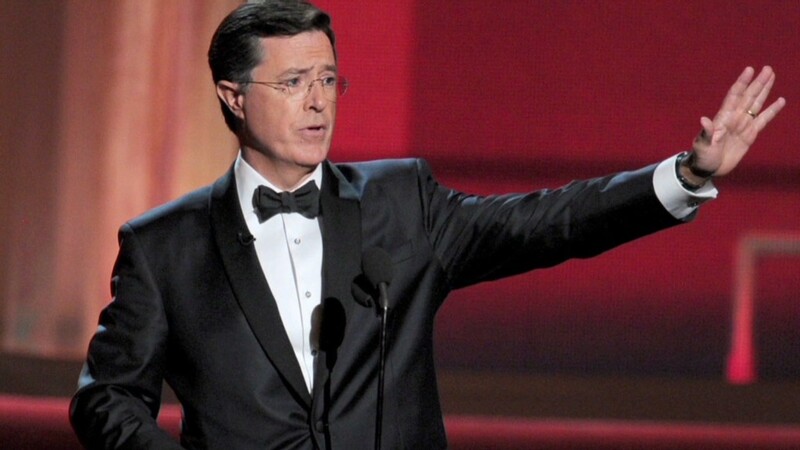 For Stephen Colbert, the Amazon-Hachette feud is getting personal. Colbert took time Wednesday night on his Comedy Central show to say he was angry at Amazon for "deterring customers" from buying his books. 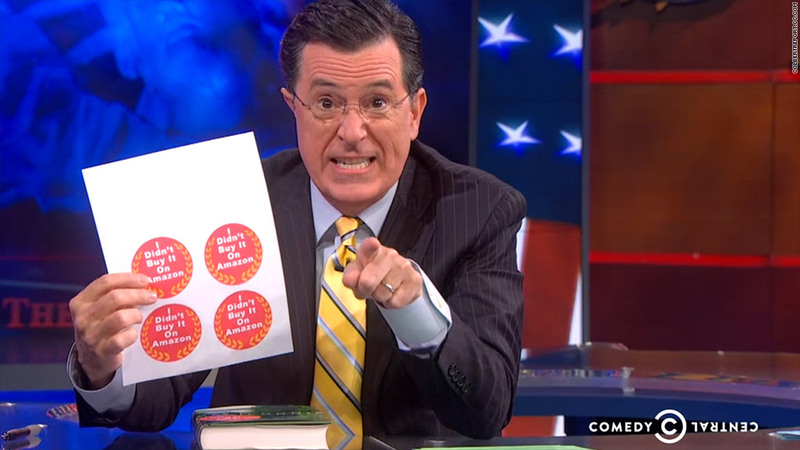 The comedian offered viewers stickers saying "I didn't buy it on Amazon" that they can download from his site. Colbert, whose publisher is Hachette, took Amazon (AMZN) to task for what Hachette has said is Amazon's slow restocking of some of its books. Hachette says it's causing "available in 2-4 weeks" messages to appear on titles by Colbert, Malcolm Gladwell, novelist James Patterson, and others. Some of Hachette's books have been listed as "out of stock", and recently Amazon removed preorder capabilities for some books, according to Hachette. Amazon has reportedly been pressuring Hachette to let it lower prices for e-books and ultimately pay Hachette less for them. Hachette has resisted. In statement last week about the apparent log-jam Amazon said, "Unfortunately, despite much work from both sides, we have been unable to reach mutually-acceptable agreement on terms." And it doesn't seem like there's an end in sight to the tiff. Amazon raised eyebrows last week saying that if customers are inconvenienced by its battle with the book publisher, they should buy Hachette's books elsewhere. Amazon is the biggest name in book selling and sets the tone for book sales and publishers. Since Amazon is so powerful, publishers often have little choice but to accept Amazon's terms.